Although it doesn't always seem like it, it is possible to fight a traffic ticket successfully. The problem, of course, is that the entire system is set up to discourage people from contesting their traffic tickets. But, with the right moves, a little luck, and some upfront expenses, you can often get a traffic ticket downgraded in severity or completely expunged. Note your court date and make sure that you attend your preliminary hearing. In virtually all jurisdictions the court date that is listed on your traffic ticket is the date of your preliminary hearing. You should attend this hearing if you hope to successfully fight your traffic ticket. Show up to your preliminary hearing early and dressed appropriately. You should dress, at a bare minimum, in a business casual fashion. Make sure that you arrive at court nice and early, at least a half hour or so before the mandatory time listed on your traffic ticket. Find the prosecutor assigned to your case and speak with him about it. 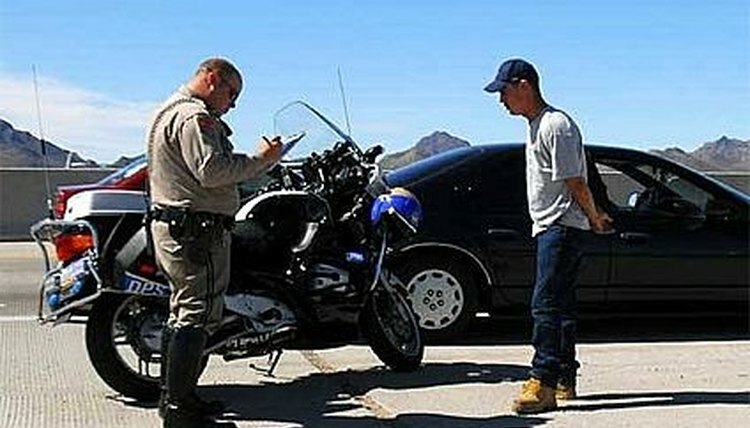 Be polite and courteous, but explain any mitigating factors or defenses you have regarding your traffic ticket. Ask the prosecutor if there's any way that you could make a deal, before you enter court, to plead your ticket down to a lesser offense (preferably one that doesn't carry any points). Be inside the court, seated, before your case is called. If you weren't able to come to an agreement with the prosecutor, make your arguments regarding your traffic ticket to the judge and assert yourself and your rationale. Argue strongly, but definitely refrain from antagonizing the judge or prosecutor in any manner. Appeal your case if the traffic ticket is upheld by the judge at your preliminary hearing. Many people don't realize that they're entitled to appeal their case, come back to court, and have a formal hearing regarding their traffic ticket. Simply inform the judge or the prosecutor that you'd like to request a formal hearing on the matter and be sure to follow the same steps at your appeal for optimal results. Weed, Geoffrey. "How to Fight a Traffic Ticket in Court." , https://legalbeagle.com/4794972-fight-traffic-ticket-court.html. Accessed 21 April 2019.